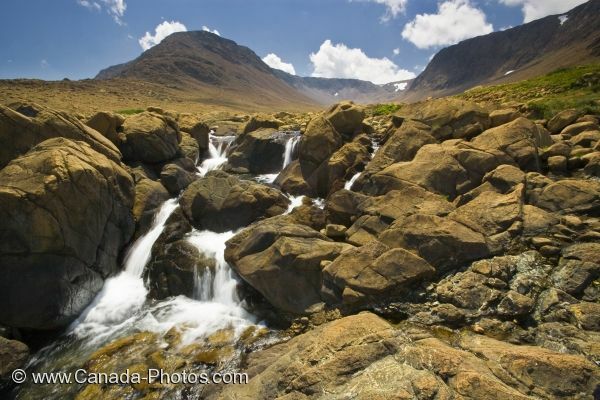 The Tablelands in Gros Morne National Park in Newfoundland Labrador, Canada has a landscape consisting of plants, deserts, lakes, mountain ranges and waterfalls. On the Tablelands Trail, this waterfall flows over the rock formations to the pool below creating a beautiful scenic picture for tourists to the area. Picture of a waterfall as it rushes over the cliffs in Tablelands in Gros Morne National Park in Newfoundland Labrador.